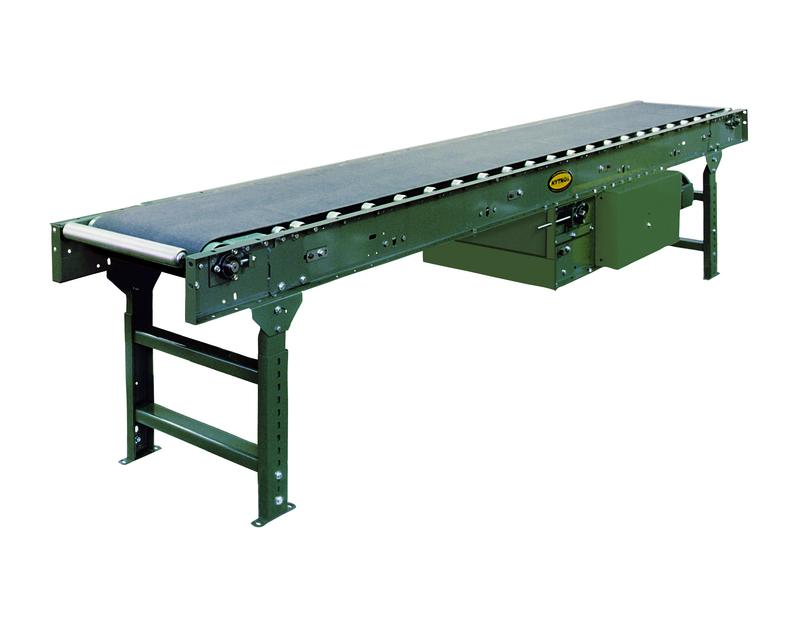 Model RB conveyors are designed to move heavier loads. By using rollers as the bed surface, Model RB roller bed conveyors, reduce friction between the belt and the frame. Great for assembly, inspection, and packing. Roller bed with 1.9″ diameter x 16 ga. galvanized tube rollers spaced every 6″. Mounted in 6-1/2″ x 12 ga. powder-coated formed-steel channel frames, bolted together with splice plates. 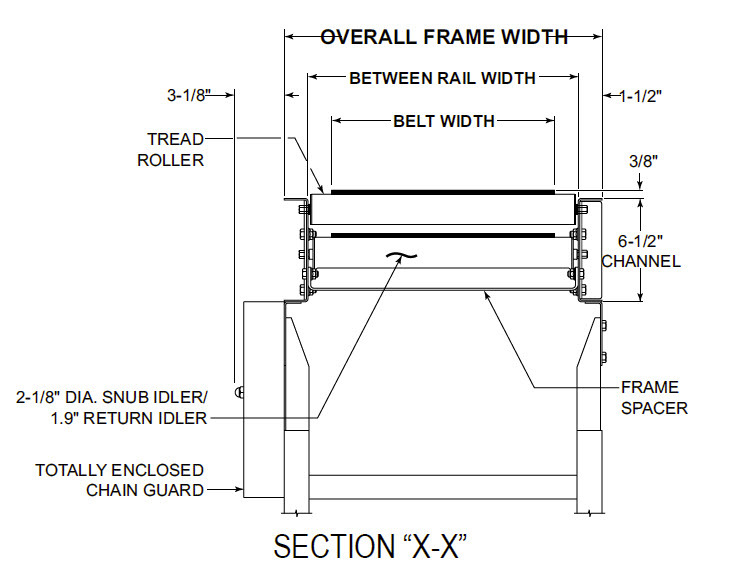 The minimum top-of-belt elevation is 17-3/4″ to accommodate the drive. Drive can be placed on any section of the conveyor length. Minimum length without special modifications is 10′. The chain guard is located on the left-hand side.